The Unitary Dual Problem is one of mathematics’ most important open problems: classify the irreducible unitary representations of a group. The general approach has been to classify all representations admitting non-degenerate invariant Hermitian forms, compute the signatures of those forms, and then determine which forms are positive definite. 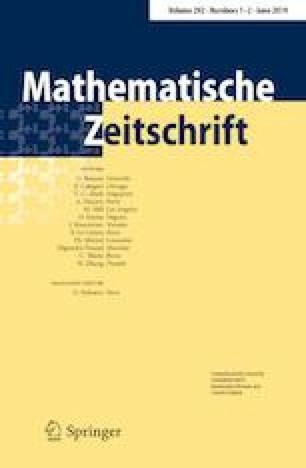 Signature character algorithms and formulas arising from deforming representations and analysing changes at reducibility points, as in Adams et al. (Unitary representations of real reductive groups (ArXiv e-prints), 2012) and Yee (Represent Theory 9:638–677, 2005), produce very complicated formulas or algorithms from the resulting recursion. This paper shows that in the case of irreducible Verma modules all of the complexity can be encapsulated by the affine Hecke algebra: for compact real forms and for alcoves corresponding to translations of the fundamental alcove by a regular weight, signature characters of irreducible Verma modules are in fact “negatives” of Hall–Littlewood polynomial summands evaluated at \(q=-\,1\) times a version of the Weyl denominator, establishing a simple signature character formula and drawing an important connection between signature characters and the affine Hecke algebra. Signature characters of irreducible highest weight modules are shown to be related to Kazhdan-Lusztig basis elements. This paper also handles noncompact real forms. The current state of the art for the unitary dual is a computer algorithm for determining if a given representation is unitary. These results suggest the potential to move the state of the art to a closed form classification for the entire unitary dual. This work was supported by a Discovery Grant from NSERC, for which the author is very grateful. I would like to thank Jeff Adams for very helpful and supportive conversations. I would like to thank the numerous people, especially M, who supported and helped me through illness which ultimately made this paper possible. I would also like to thank the referee for very helpful comments.